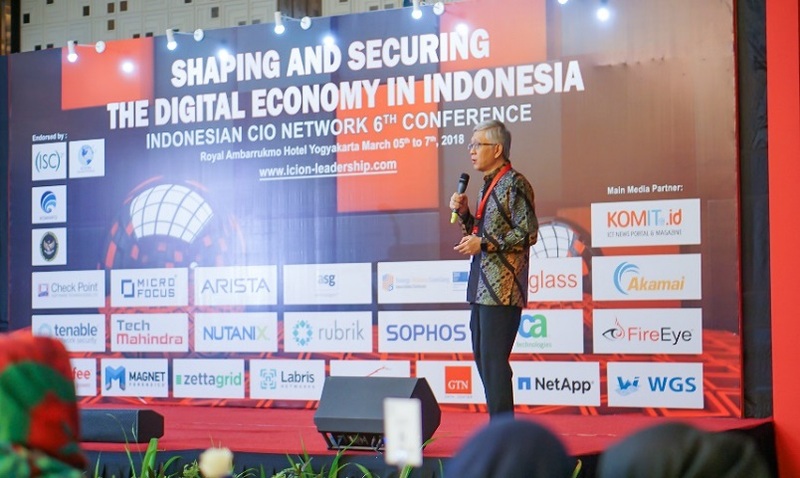 Indonesian CIO Network (ICION) 6TH CONFERENCE was held in Yogyakarta on the 06th and 07th of March in Ambarrukmo Hotel. The conference is a yearly one time annual event for all CIOx/CXOs/Senior managers to gather, network and exchange information on the ICT world of Jakarta. This year the big theme was Shaping and Securing the Digital Economy in Indonesia, ICION was honored this year to have Mr. On Lee CEO of KASKUS and GDP Labs delivering a presentation on the afternoon on Digital Augmented Intelligence System. The presentation starts off on the fact that Artifical Intelligence (AI) – in particular Machine Learning and Deep Learning is today most disruptive technology in computing industry. On Lee is the CEO & CTO of GDP Labs, CEO & CTO of KASKUS, and CTO of GDP Venture. He has over 30 years of experience in internet, mobile, consumer and enterprise software development. He has held various management and technical positions as a co-founder, Chief Technology Officer (CTO), Executive Vice President of Engineering, and engineer in both startup and Fortune 500 companies in the US. Additionally, he has built teams to start strategic new products in startup and large companies in the US, Indonesia, China and India. The presentation focus on the key message that AI is ready to use and implement in the enterprises globally and Indonesia is no exception. KASKUS// GDP LABS ready to help with consulting and delivery resources in the areas such as API, ChatBots, Machine Learning, and Microsites. ICION was very excited and proud of KASKUS first “appearance” at our annual conference and look forward to more co-operation together” The presentation ended with a group photo take of Mr. On Lee with the co-founders of ICION William Ho & Ray Sugiarto and Mr Rudi Rusdiah together.